Get Your Gearhead The Perfect Holiday Gift! Our hand selected Motion Pro picks will make shopping for your gearhead a one stop shop! 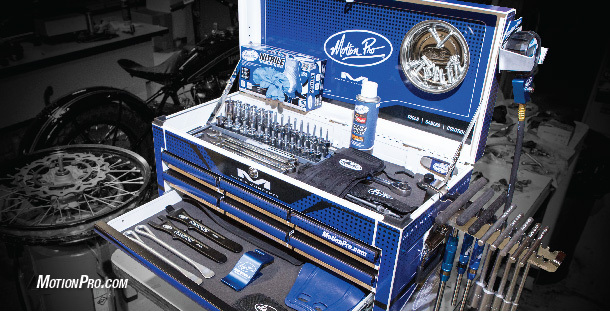 Toolbox items, innovative service tools, and everything in-between make Motion Pro products some of the most desirable among professional mechanics. If your not familiar with our product line, be sure to browse our website for a selection of cables, control items, accessories and more! We’ve included price point categories below to get you rolling. Start Building Your Champion! This entry was posted in Global News, Moto, Product, Products by admin. Bookmark the permalink. Next → Next post: fresh new threads for the mini shredders! !